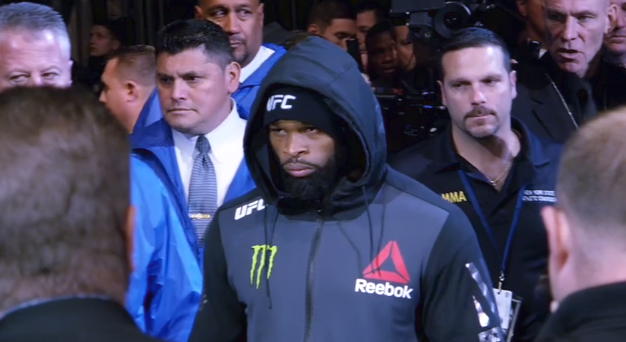 While UFC 230 does not have a main event set, Tyron Woodley is more than happy to go on last at Madison Square Garden against Colby Covington. Woodley and Covington were set to face off at UFC 228, but Covington underwent nasal surgery and opened the door for the popular Darren Till to take his place. Woodley would stop Till with a second round submission, and if he gets cleared by a doctor, wants Covington at Madison Square Garden. “I’ve got an MRI on my thumb and I’m sending it for a second opinion,” Woodley said to MMAJunkie Radio. “If I’m good, then I have no issue with fighting in November. The more I fight, the better rhythm I get in the swing of things. Obviously, I just fought, so I’m still in phenomenal shape. I’ve been eating pancakes, shrimp fried rice, brownies – taking a week and eating some bullcrap.